Trail Description: This is another of our favorite day hikes because of the many places where we can rest beside a mountain stream. Trails with water features, such as this, offer a respite to cool off on hot days. The trail follows South Cottonwood Creek on the “northeast slope of Wheeler Mountain through a dense old-growth forest with lush riparian areas and meadows. The soft dirt path of the this moderate trail connects to Hyalite Canyon via the History Rock Trail at 6 miles and the Mount Blackmore Trail at 8 miles. This is bear country, so be aware. Trail Notes: As you begin to enter the lodgepole pine forest and zigzag up four switchbacks, watch for the shade-loving flowers—columbine (Asquilegia flavescens), Western meadowrue (Thalictrum occidentale), violets (Viola spp. ), and white (Richardson’s) geranium (Geranium richardsonii). The fragrance of Wood’s rose (Rosa nutkana) will follow you up the trail in June. As you traverse the canyon wall you will gradually descend and pass through a gate to a meadow and South Cottonwood Creek. 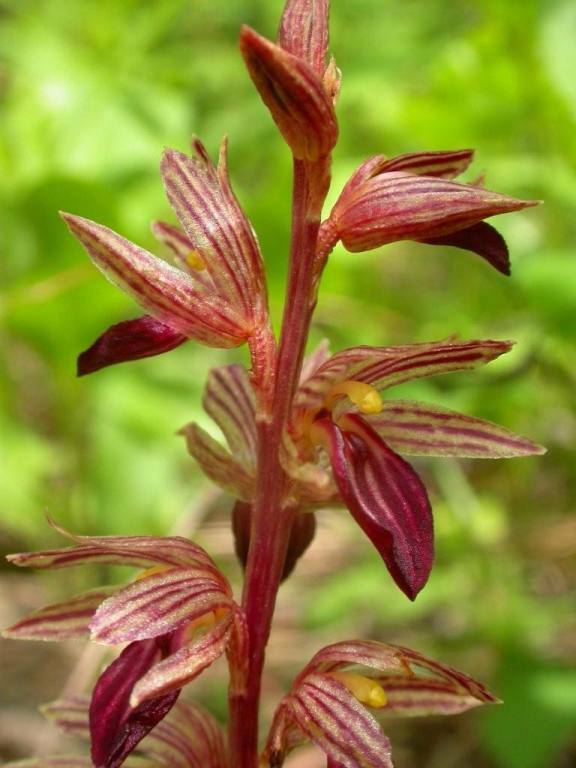 Watch for striped coralroot (Corallorhiza striata) along the path and up the hill. These plants can be quite spectacular in early June. Veer left and cross the log bridge (1.3 miles from the trailhead.) From there climb the hill to a grassy meadow garden filled with lupine (Lupinus spp. 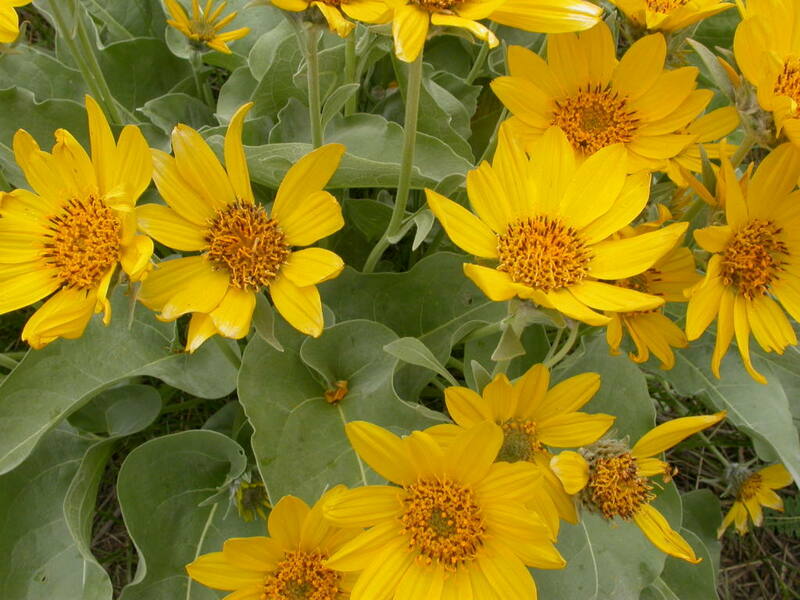 ), arrowleaf balsamroot (balsamorhiza sagittata), sticky geranium (Geranium viscosissimum), and blanketflowers (Gaillardia aristata). If you continue up the path, the trail will eventually dip back down to the stream (2.0 miles from the trailhead). Along the path in April and early May you can expect to see glacier lilies (Erythronium grandiflorum) and Western springbeauties (Claytonia lanceolata). Each year the timing is a little different; in 2014, snow covered much of the trail on May 15th. 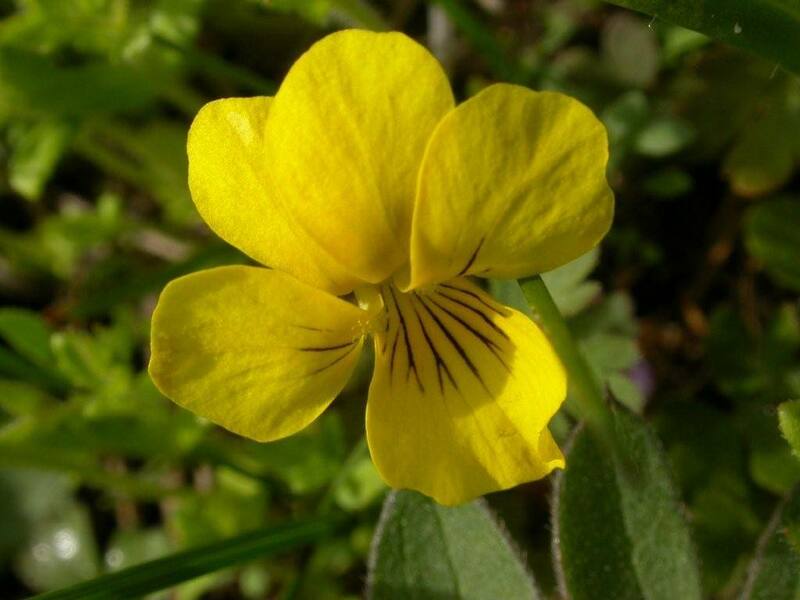 Be on the watch for white Canada violets (Viola Canadensis), yellow Nuttall’s violet (Viola nuttallii), yellow stream violets (Viola glabella), prairiesmoke (Geum triflorum), marsh marigolds (Caltha leptosepala), and blue rock clematis (Clematis Columbiana) in early May. Fern-leaved lovage (Ligusticum filicnum) loves the shade, smallflowered woodland-stars (Lithophragma parviflorum) are in the edges of open areas and blanketflowers arrive in abundance in June and early July. If you walk with care off the trail by the creek you might spot two or three solitary calypso orchids (fairy slippers) (Calypso bulbosa). The trail continues south to the ridge connecting South Cottonwood Creek Trail to History Rock Trail, Hyalite Canyon, and Mount Blackmore. Directions: From downtown Bozeman, drive 4 miles west on Main Street (Highway 191) toward Four Corners to Cottonwood Road. Turn left at the stop light and continue 7.6 miles to Cottonwood Canyon Road on the left. Turn left and drive 2.1 miles to the trailhead parking area at the road’s end. Photos on this page (Top to Bottom): Striped Coralroot, Wood's Rose, Blanketflower, Yellow (Nuttal's) Violet, Arrowleaf Balsamroot. Click to enlarge. July, 2005: Flowers we found on a hike in early July included Bladder campion, Wood’s rose, heartleaf arnica, Canada violet, Richardson’s geranium, false Solomon’ seal, glacier lily, strawberry, Hood phlox, arrowleaf balsamroot, Indian paintbrush, common yarrow, sunflower spp., striped coralroot, yellow columbine, baneberry, Western coralroot, Northwest twayblade, lupine spp., bluebells, cow parsnip, onion spp., many-flowered stickseed, field chickweed, Western gromwell, lemonweed, woodland star, fernleaved lovage, cinquefoil spp., prairiesmoke, sugarbowl, blanketflower, silverleaf phacelia, dogbane, Parry’s townsendia, blue penstemon, lance-leafed stonecrop, spirea, low larkspur, buttercup, one-sided wintergreen, bedstraw, meadowrue, rock clematis, globeflower.